UTM students triumphed once again in the latest edition of RISM-RICS ISCU 2018 held on 24th November 2018 at Taylor’s University lakeside campus in Bandar Sunway. The conference this year, with the theme ‘Disruptive Innovations – Challenges for the young surveyors’ had featured talks by invited keynote and plenary speakers from four surveying disciplines, who have shared their knowledge and achievements to all aspiring participants. 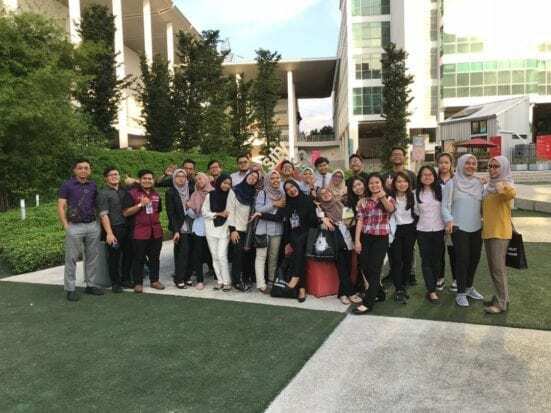 As a mark of commitment, UTM had successfully sent more than 30 strong student delegates from the Bachelor of Quantity Surveying and Bachelor of Science in Construction programme, together with three accompanying lecturers who were involved as the committee as well as overseeing the welfare of UTM students. Apart from listening to the talks, the one-day event had also included an ice-breaking activity where students from various participating institutions had been given the chance to mingle and interact through various group bonding activities. The event this year had offered students to participate in three categories; Category 1 – Conceptual research paper; Category 2 – Conceptual research video presentation and Category 3 – Poster. 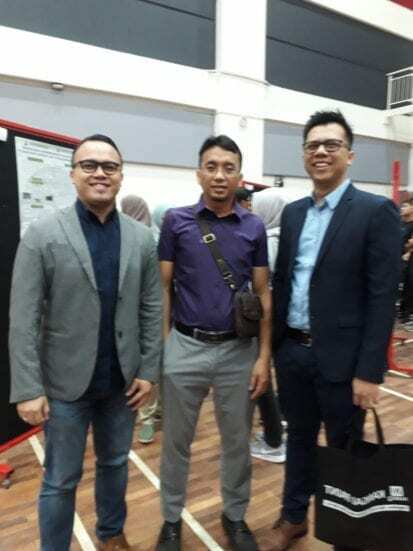 UTM, with a strong research tradition exposed to the students, has managed to submit participation in all three categories by sending 12 quality works produced by the students with diligent supervision given by dedicated staff from the QS and Construction programme. Overall, the competition has received 45 conceptual research papers (Category 1); 20 conceptual research videos (Category 2) and 50 posters (Category 3). In Category 1, out of the 45 conceptual research papers submitted, UTM won two special mention awards out of the seven spots offered through Siti Aisyah Ismail (Title: An appraisal into the potential application of big data in construction industry) and Sia Hui Ru (Title: Risk management strategies adopted by contractors during competitive tendering). In Category 2, Siti Aisyah Ismail once again made UTM proud by clinching the top spot by beating 19 other participants in the conceptual research video competition. The second, third, fourth and fifth places went to USM, UiTM, USM and INTI University respectively. In Category 3, out of 50 posters submitted, UTM’s Fatin Najwa Misuan was accorded a medal in the 5th spot. 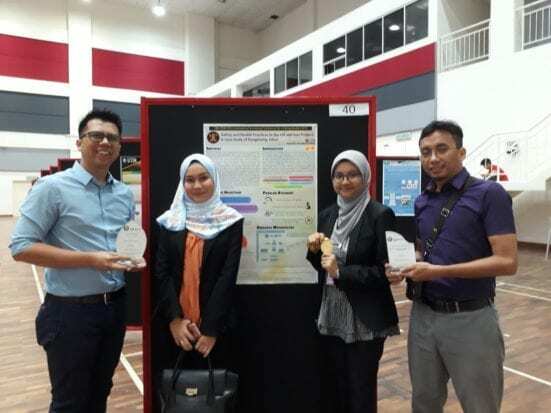 Her poster, ‘Safety and health practices in the oil and gas project: A case study of Pengerang, Johor’ beat other posters to be in the top 5. The closing of the event was officiated by a representative from RICS and the passing of a flag to the University of Reading Malaysia, symbolizing the university as the next host for the event in 2019.